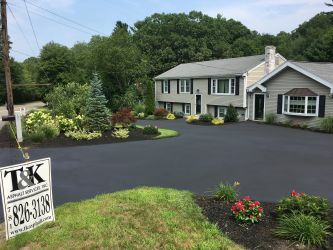 Every year, homeowners spend thousands of dollars to improve the appearance of their homes; yet one inexpensive area that many forget is their driveway. Your driveway is an important part of your landscaping because it gives the first impression of your home. 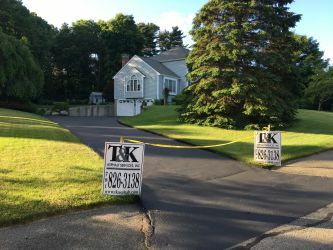 We have crews in Halifax, Rochester, Freetown, Easton, Norton, and Berkley every week, protect your driveway. A driveway will deteriorate due to sun, rain, and snow. By seal coating your driveway, you prevent oxidation from the sun’s harmful UV rays. Sunlight can cause the asphalt to become harder which in turn causes it to become brittle. Sealcoating slows this process down immensely. Sealcoating provides a protective layer on your driveway and saves you money in the long run just like a regular painting of your house. By seal coating every 2-3 years, your driveway will stay strong and serve as an attractive entranceway to your home. 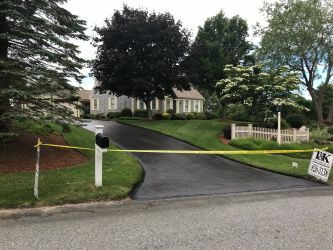 I just installed a new driveway, how long should I wait to seal coat it? Industry standards recommend that you wait one year or go through one winter before you seal coat a new driveway. Industry standards recommend every two years; allowing the sealer to wear away before you reseal the driveway. What is a fillable crack? A fillable crack is anything between ¼ of an inch to 2 inches wide and no more than 3 inches deep. I just had my lawn fertilized and mulch delivered; will this create an issue with the sealer? We recommend that you power wash your driveway thoroughly several days before we arrive to seal coat your driveway. The reason for this is because the sealer will have a chemical reaction with the fertilizer and mulch thus causing discoloration of the sealer. What time of year is best for seal coating my driveway? Spring, Summer or Fall anytime is best as long as the ground and air temperature is 50+ degrees. My driveway has oil stains, will the sealer cover these? We recommend that you wash the area where the oil stains are located several days before we arrive. However, we will apply a primer before we seal your driveway in order to prevent the oil stain from bleeding through. Some oil stains may bleed through regardless of the precautions taken. 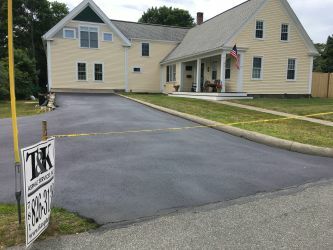 Do you clean my driveway before you seal coat it? We use a high-powered blower to remove any leaves and loose debris. We also edge back the grass with a weed whacker prior to the application. Why should I choose T&K? 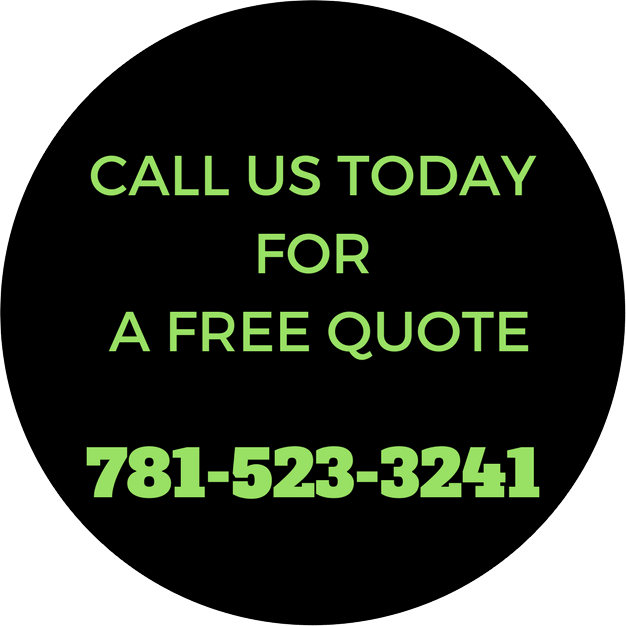 We have over 30 years of experience in residential and commercial seal coating. We stand behind our work and our sealer is specially mixed to our specifications.